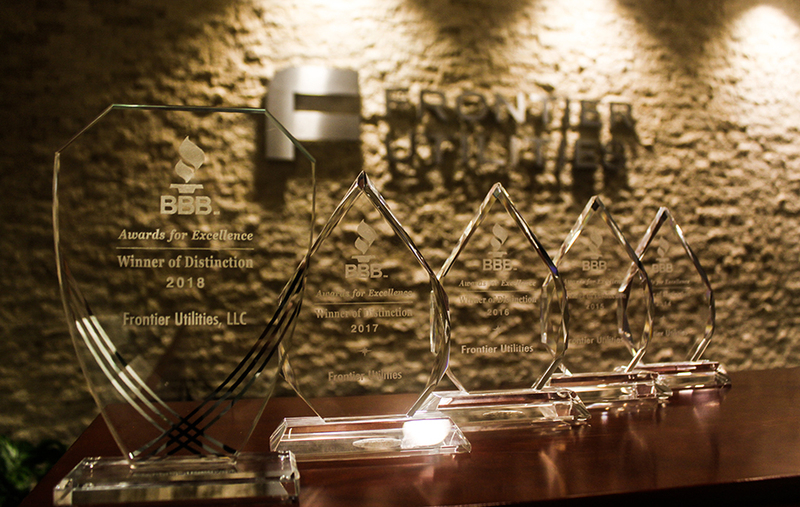 For the fifth consecutive year, Frontier Utilities received the Award of Distinction again in the Energy Services category by the Better Business Bureau Education Foundation. This coveted award recognizes Frontier Utilities commitment to excellence in the marketplace and is based on Frontier Utilities' strong commitment to ethics, quality in the workplace and overall excellence. We're proud to be recognized by our community, and will continue to focus on integrity and high quality customer service. Copyright © 2009-2019 Frontier Utilities, LLC.